Brazilian champions Palmeiras have officially announced the signing of Pyramids FC star Carlos Eduardo for a reported fee of US$6 million. Upon joining Turki Al Sheikh’s ambitious project in the summer, Carlos Eduardo was on track to become a star of Egyptian football. However just a few months later, the Saudi billionaire has since pulled out of financing the club which has fuelled speculation that several players such as Keno, Arthur and Rodriguinho will depart the club. 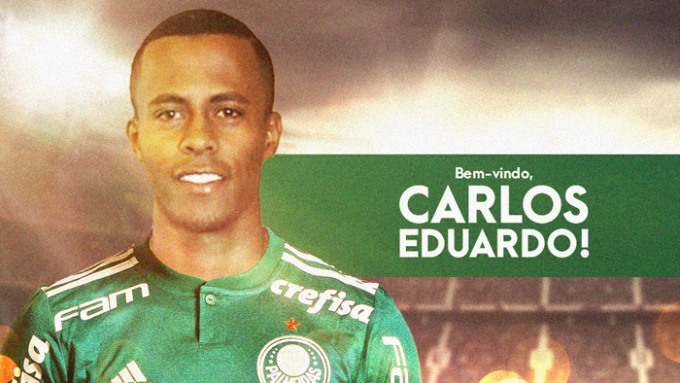 The first Brazilian to get out the door is Carlos Eduardo, who has joined the 2018 Brasileirao champions and Sao Paulo giants Palmeiras. As was previously rumoured, according to the Brazilian media the transfer will cost Palmeiras somewhere in the region of US$6 million, which is around 107 million Egyptian Pounds. At his new club, Carlos Eduardo will initially be taking part in the Campeonato Paulista, or the Sao Paulo State Championships, which Palmeiras have not won since 2008 and are attempting to dethrone their bitter rivals Corinthians this year. He will then compete in Palmeiras’ defence of the Brasileirao title while simultaneously attempting to win South America’s biggest footballing honour, the Copa Libertadores, which has been won by the club on just one occasion. Pyramids’ next game will be on Saturday 22nd of December against ENPPI at 7:30PM Egyptian time.